Still being drenched in 2018 Billboard Music Awards? Linger over the amazing hologram of Michael Jackson returning to the throne and Jennifer Lopez splendid debut on "First Love" ? If you don't get enough and still long for appreciating more Billboard music feast, you can search for the 2018 Billboard 100 Top singles on YouTube and continue to feel the chrisma of music online. But watching Billboard Hot 100 top singles online is not roses all the way. A host of online viewers have the hair-pulling experience that when watching Billboard 100 top highlights, they encounter the heavy traffic on the Internet connection and then the intermittent video buffering. What a bummer, right? If you come across this condition, how would you like to do? Passively waiting for the condition turning better or actively seek for another once-for-all method? I bet the majority of online viewers would approach to the latter one. Well, what is the once-for-all method just mentioned? Guess, it's so simple. Download Billboard 100 songs from YouTube such that you can enjoy 2018 Billboard hot 100 without concerning any internet connection stuff any longer. In such case, a professional yet reliable YouTube downloader is seemingly vital. Here humbly recommends you a trustworthy 100% free music downloader-MacX YouTube Downloader, which can not only let you download Billboard 100 top on mac with cost nary a penny, but also allow you to worry-free download Billboard hot 100 with maximum high quality thanks to its built-in High Engine Quality support. Its intuitive interface will walk you through the whole downloading procedure. Even a novice can dive right into this software and start utilizing it within seconds. 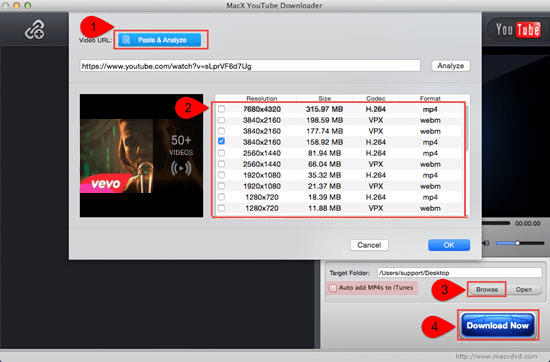 Step 1: Free download and install MacX YouTube Downloader. 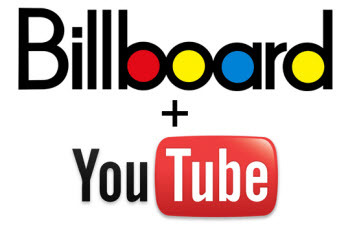 Find the Billboard 100 top music video, copy the URL of the video page and open this free program. Then paste the URL and click "analyze" to load the Billboard video details. Or click "paste & analyze" button to automatically detect the YouTube video opened in browse. Step 3: Click "Browse" button to select an output folder on your Mac computer to save the output files. Step 4: Hit "Download Now" to start downloading Billboard hot 100 top single video from YouTube on Mac for free. Despacito by Luis Fonsi, Daddy Yankee and Justin Bieber is the hottest Billboard Top 100 song. Featuring Justin Bieber, Despacito rises from 3 to 1 on Billboard Hot 100 chart and is one of the most-downloaded Justin Bieber songs in 2018. Released on Jan 12, 2017, Despacito has crossed 1,459,000, 000 views on YouTube. After Pillowtalk, That's What I Like is another top song from Bruno Mars and also a must-download on Billboard Hot 100. It marks Mars' seventh Billboard Hot 100 No. 1. It got over 400 million views in two month. Click to download That's What I Likefrom Bruno Mars new album 24 Magic, Billboard Hot 100 song with a YouTube video downloader. When it comes to download Billboard Hot 100 songs in 2018, Shape of You from Ed Sheeran is a must-have. The hit has spent seven weeks atop the Billboard Hot 100 and achieved more than one billion views on YouTube. Stop repeated live streaming, get Ed Sheeran Billboard Hot 100 songs Shape of You, Castle On The Hill and others in MP3, AAC, MP4 etc. from YouTube 300+ music sites. We'll keep updating the Billboard 100 top songs list.